Checking in on what our leaders are writing about gives a great sense of the current topics and issues percolating in our schools. In the age of encouraging our students to be public digital writers, we are so fortunate to have a number of our leaders modeling the way. What is so interesting is that the ideas from our schools are influencing each other and one feels the diffusion of new ideas and practices. Bowen Island Community School is one of many schools in our district looking at the shift to learning commons. School parent, Tess McDonald, recently wrote a guest post on the shift that is taking place. The parents are clear partners in the shift. Libraries are turning into Learning Commons; places with flexible furniture that can be moved around to accommodate small or large groups. They have books on movable shelving that doesn’t block the natural light, areas for creating multimedia presentations, listening to guest speakers, using technology that may not be in every home, and yes, reading. There is a librarian but he or she isn’t wearing tweed, but an imaginary super suit! This person is an expert about books and writing, and finding information, and connecting people to the right source, and helping them see bias, and questioning ideas. This person is ready to help you create and question and connect too. (Here is where I admit that, after reading Seth Godin’s blog post on the future of the library, I wanted to become a librarian. It is here, if you are interested). Lions Bay Community school is a shining example of quality early childhood education. Nestled in the woods along Howe Sound, the outdoors provides a perfect backdrop for a child’s self-exploration. 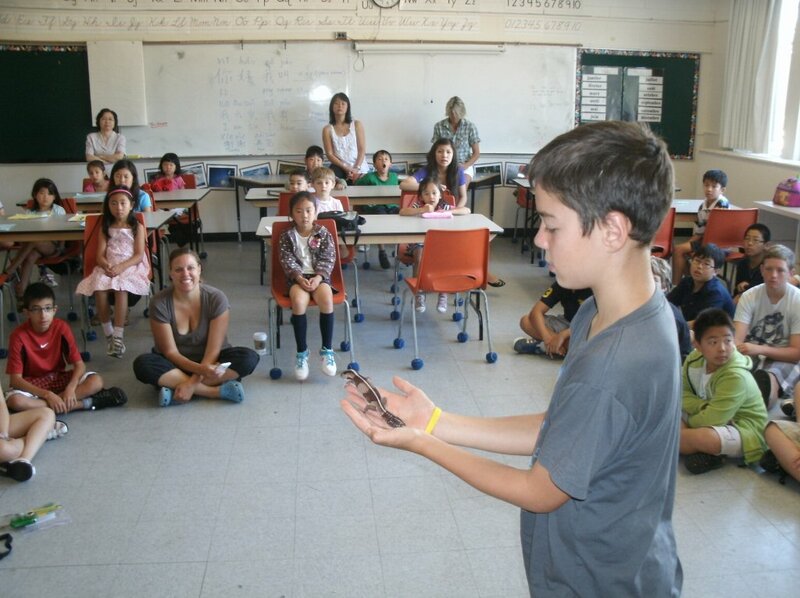 In fact, all three facets of this learning environment; the Before/After School Program, facilitated by the North Shore Neighbourhood House (NSNH); the Preschool for 3 and 4 year olds, supported by a parent run Board; and the Primary school, part of the West Vancouver School District, are all interconnected. Each unique program draws on the same philosophy that a child should learn to explore their natural environment and ignite their curiosity. The adults that assist the children at each level are committed to fostering the child’s sense of wonder and provide opportunities and resources to investigate their questions. For children and parents this seamless organization provides for optimal learning. Students should be included and actively involved in the process of evaluating their own learning and sharing their perceptions of their progress with their teachers and parents. When students are meaningfully involved in this way, they deepen their understanding of the learning and evaluation process and they grow in their ability to take ownership of this process. Student ownership of learning results in student empowerment…a powerful motivating factor in the learning! When the West Vancouver School District invited school learning teams to apply for innovation grants, a group of teachers jumped at the opportunity to explore a more comprehensive way of communicating student learning. What did our team consider while drafting a new report card? The full post explores the comprehensive and inclusive approach the school has taken to looking at the reporting issue. I also remember being fortunate enough in my grade 12 year to participate on a school athletic trip to Europe. A privileged experience for many youth both then and now, and quite often one of the most memorable experiences of their high school journey. I also remember on that same trip diligently selecting and purchasing several postcards along the way to mail home to my family to show my appreciation for their support, as well as to update them on our travels. The final memory I have of this tale is of leaving that stack of postcards, duly filled out, addressed, and stamped, on the overhead luggage rack of a train somewhere between Munich and Berlin; they were never seen again, and their existence questioned when I returned home. I can’t fix the old wrongs, and I don’t know whether our work in the schools will inspire our First Nations students, or whether they need inspiration in the first place. I hope I’ve been using the right words, but I don’t even know enough to be sure I’ve been politically correct here. What I do know though is that I’m grateful that our First Nations neighbours have agreed to partner with us, because thanks to their willingness to share, what I finally, truly feel in my heart is respect. And that’s a good start. So the quick scan of the district – some themes emerge – ones reflected in these blog posts, but ones I see alive in so many of our classrooms and schools. This sampling nicely summarizes the new work that is taking place. I am seeing a shift to learning commons, self-regulation, strong early learning connections, powerful efforts around assessment and reporting, new ways of using technology to stay connected and a commitment to aboriginal education and our partnership with the Squamish Nation. It is an exciting place to work! 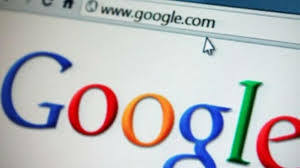 A Job at Google or a Principal Job in West Vancouver? Thomas Friedman recently wrote a piece in the New York Times on “How to Get a Job at Google.” As I read the comments of Laszlo Bock, the Senior Vice President of People Operations for Google, the more I found that Google is looking for many of the same attributes in its employees that we are looking for in West Vancouver, when we hire principals and vice-principals. The list really speaks to the skills we are looking for with our school administrators and the kind of attributes we are seeking in our leaders. We want them to be able to be smart and make decisions on the fly; to lead — not only from the front, but to feel like their school is theirs; to step back and allow others to share in the success and, finally, to have the expertise in many of the learning and management areas that are regular parts of the job. Friedman is right, “In an age when innovation is increasingly a group endeavour, it also cares about a lot of soft skills – leadership, humility, collaboration, adaptability and loving to learn.” This is why we almost always ask candidates about who is in their network and how they learn with their colleagues. We want our buildings to be about learning, and that includes our leaders being model learners themselves. Of course, the teaching, principal and vice-principal jobs in West Vancouver involves different perks than Google (sorry about that) but it looks like we are looking for many of the same qualities. Whether by phone, email, or in person, I get a lot pitches about just what it is we need in our schools. Actually, it can be quite overwhelming at times. So, when our District Principal of our Sports Academies said “I had to meet the fencing guys,” well, you can understand my skepticism. I have never tried fencing. My total exposure to it, until a few months ago, was watching some of it in Olympic coverage every four years, usually waiting for some other sports coverage, because despite it being part of the Olympic games since 1896, it is not a sport with a rich history in Canada. But Igor, the BC Fencing Association, and former World Champion Vitaly Logvin, and the current President of the international charity For Future of Fencing, are planning to change this. The fencing instructors are first class. Igor has a wonderful way with students and he has brought in former Olympic medalists to support him with the teaching. Teachers and instructors for these types of programs make the difference. There is a fair bit of equipment involved and the providers have taken care of all of the first class modern equipment for students to use. 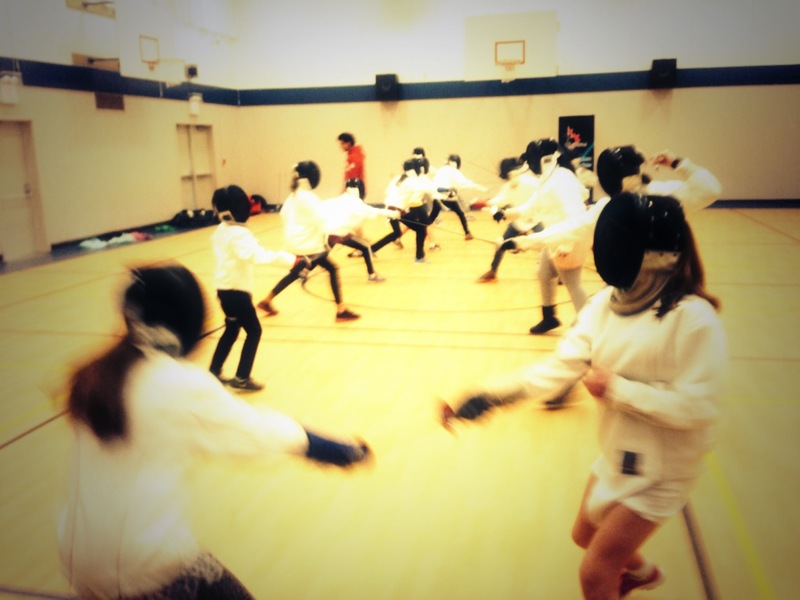 Although most students had previously never tried fencing, they had seen it at the Olympics or elsewhere, and there is a ‘cool factor’ to try it out. Fencing is a multi-age sport that can be done together with girls and boys; so, it is very inclusive. 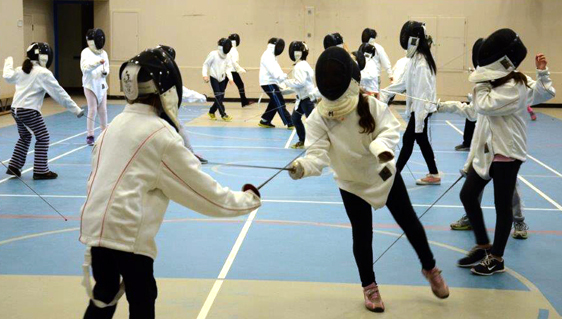 Since nobody has really practised fencing before, the skill levels are quite similar; when we divide up for soccer or basketball, even at the elementary school level, there can be a massive difference in skill levels which can be discouraging for some students. The number of young people participating is relatively small in Canada, so the opportunity to compete provincially, nationally or internationally, is a real possibility. It will be exciting to see what happens next. We want students to be more active and it is exciting how passionate so many of our students have become in such a short time about fencing. When I speak with Igor, he talks about the future Olympians he envisions from our partnership. It is quite incredible.